It’s an important concept that almost every large retailer uses. Smaller retailers should use it too. It enables you to calculate your maximum PPC bids analytically, rather than arbitrarily. That alone gives you a big advantage over competitors who don’t make similar calculations. Take Wag.com for example, a subsidiary of Amazon. It sells pet food and related products, which consumers tend buy repeatedly throughout the year. Wag.com invests time in understanding the lifetime and long-term value of its customers, which enables it to know exactly how much revenue and profit to expect from each customer, on average. Wag.com knows the lifetime value of a customer. It can also differentiate between the value of customers based on what they buy, which helps Wag.com determine optimal PPC bids. Dog food buyers may be worth more than cat food buyers, for example, and would thus justify higher bids. Armed with this CLV data, Wag.com can approach its PPC bidding strategies much more strategically than other retailers. It knows the precise value over the long-term of the customers it acquires through PPC, which allows it to calculate exactly how much to bid to maximize PPC profits over the long-term, not just the short-term. Here is a three-step approach that shows how Wag.com, or any other company, can calculate CLV and maximum bid per click by product category. For instance, imagine Wag.com knows that of 200 new customers acquired through PPC who first purchased dog food, it subsequently received 800 orders over 12 months, generating revenue of $48,000. It can calculate $240 — $48,000 divided by 200 — in revenue from each new dog food customer over the course of a year, on average. Wag.com knows that its average profit margin for pet food is 15 percent, and can thus calculate that its average profit per customer over 12 months is $36 — $240 times 15 percent. This assumes these customers only bought pet food. Now that Wag.com knows how much profit it will generate per customer over 12 months — or over any term — it can calculate the maximum PPC bid to acquire a dog food customer. Say Wag.com knows that it took 5,000 PPC clicks to generate the 200 initial orders. In other words, 25 clicks — 5,000 divided by 200 — are required to generate a single conversion, or customer. And a single customer is worth $36 in profits over 12 months. Wag.com can then afford to bid a maximum of $1.44 per click without losing money — $36 divided by 25. In my experience, most merchants judge the profits of their PPC campaigns based only on the first sale those campaigns generate, not the lifetime of sales that will occur afterwards. 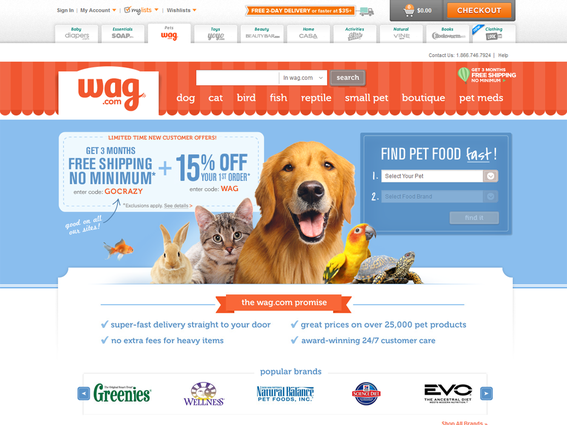 If Wag.com only considered the first $60 sale it made to a dog food customer, versus the value of that customer over 12 months, it would determine the maximum bid per click to be $0.36, not $1.44. This means it wouldn’t be able to justify higher bid prices, and would generate less traffic and revenue from PPC as a result. It’s a big lost opportunity. But companies like Wag.com regularly apply CLV exercises like the one above. Wag.com knows the maximum to bid per click without losing money over the long-term. It puts this very powerful insight to work, enabling it to bid more aggressively on PPC — bidding up to $1.44 per click rather than $0.36 in this example. It helps determine which PPC campaigns to focus on and which product categories to optimize on its website. Product categories such as pet food do lend themselves to frequent repeat orders more so than other categories. The concept of generating repeat orders from your customers, however, is important for almost any retail business. That’s because it’s usually cheaper to generate an order from a current customer than from a new one.